Some of the Iraqi National Alliance parties seemed satisfied with the new line-up put forward by Prime Minister Haider al-Abadi, which forced them to move toward the formation of a lobby in parliament to block the pass line-up after the ten-day deadline that precedes the end of the voting session. 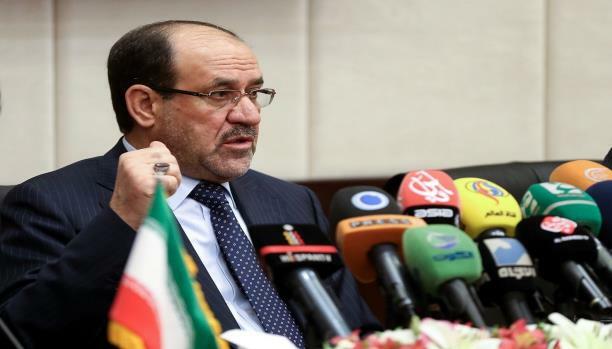 The remaining days of the deadline crucial period to determine the fate of the government, at a time when al-Abadi to bridge the gap between the views of the political blocs trying to agree on the selection, meets the efforts made by former Prime Minister Nuri al-Maliki, within the coalition and outside, trying to pull the rug from under the first and derail the upcoming government. Recognizes the Iraqi parliament, on Thursday evening, government amendments Abadi file, after Parliament agreement on receiving and then vote on them within 10 days, with the adoption of amendments relating to agents ministers and directors-general and heads of other bodies and institutions, such as the judiciary and the central bank and the election commission, a month after the adoption of The new government reshuffle. Someone just has to do something to get shot of the treasonist crook Maliki. He only wants what is right for himself and NOT the Iraqi people.